I kept bumping into Erica and her parents at the market. 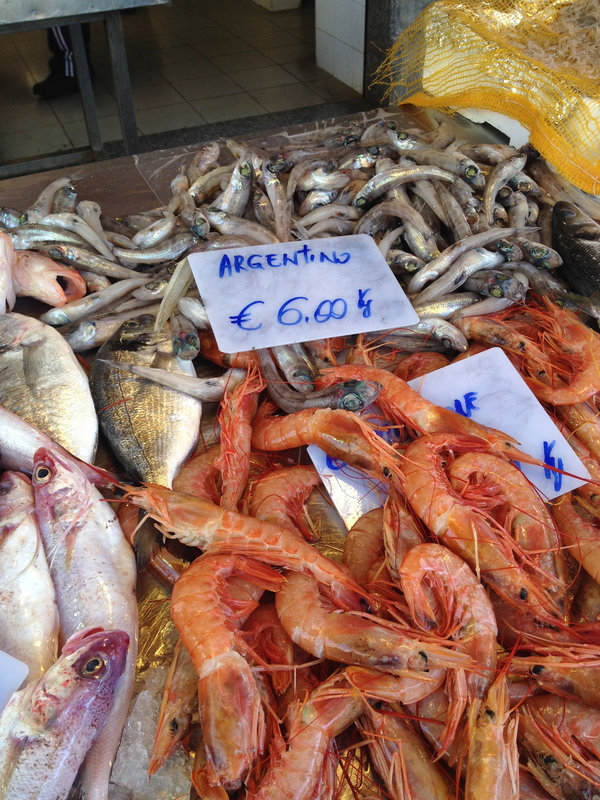 We do have great markets in Rome but the market in Ortigia is on another level. I think it’s because the food doesn’t have far to travel. The freshness and variety is unreal. I’m still going on and on to Erica about the peaches I had. I’m sure she’s tired of hearing about them. I didn’t buy any fish but I did eat my share from the market. I’m still talking about that too. 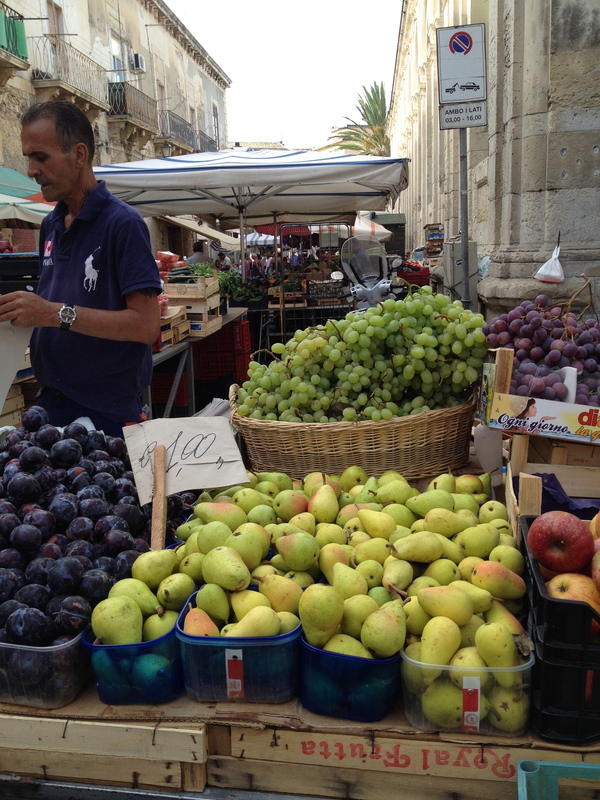 A MUST is the shop, Fratelli Burgio, located near the end of the market closest to the sea. It gets very crowded so be patient. I hear they have fantastic sandwiches and aperitivi. The line for sandwiches was long and there was only one person behind the counter. Poor guy. 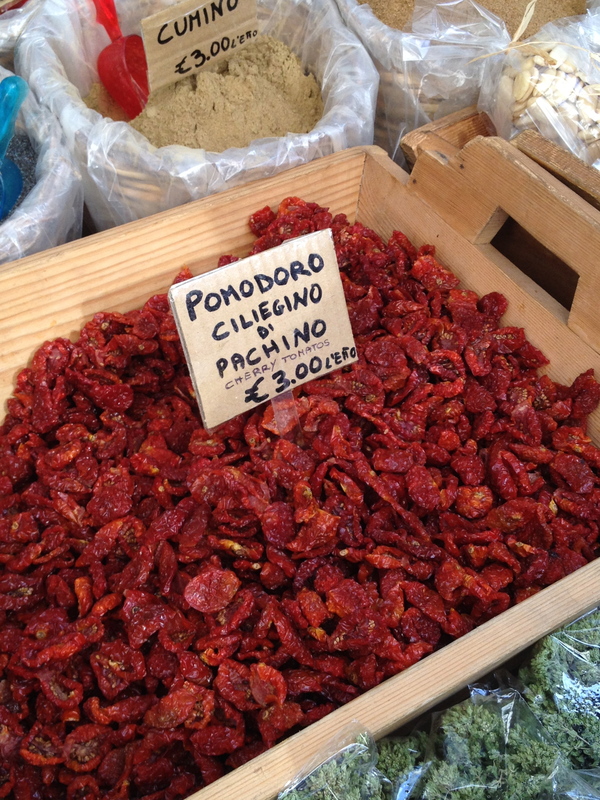 I bought some Pachino sun dried tomatoes in olive oil there. 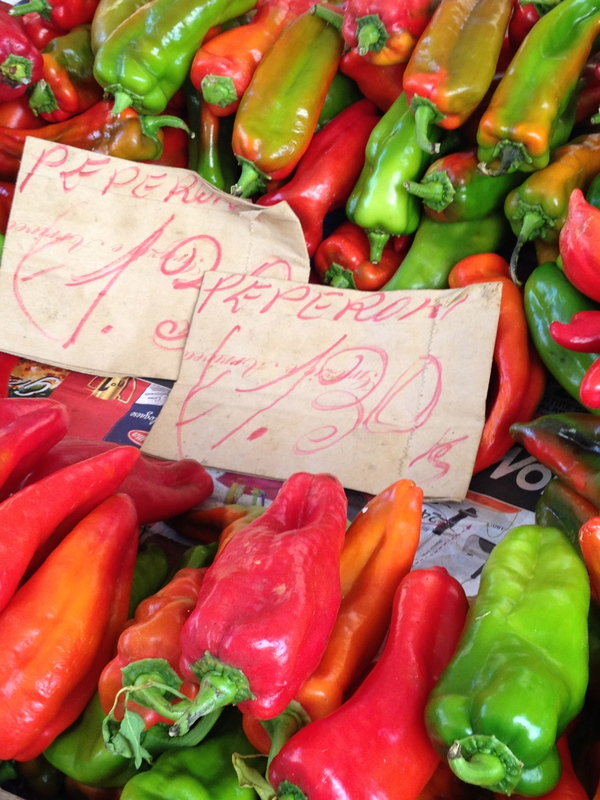 At thirty-two euros a kilo they were not cheap but were worth every single euro. A bowl of said tomatoes. 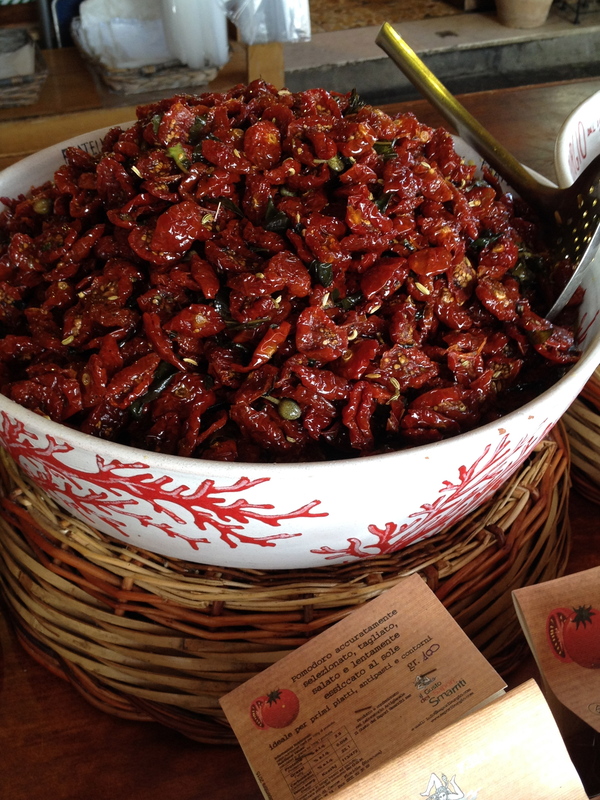 Pachino tomatoes are grown only on the Southeastern coast of Sicily. 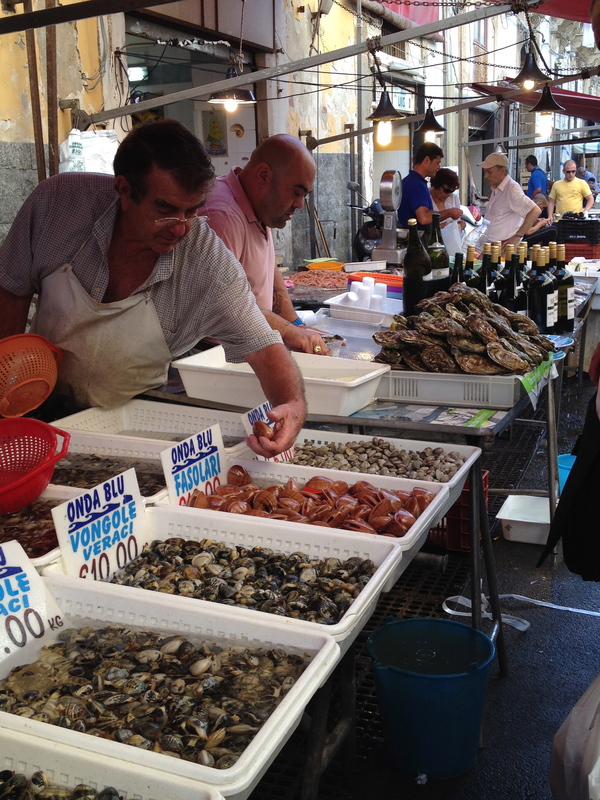 The fishmongers were quite lively (and flirty). I was too shy to snap a photo of the very attractive gentleman who called me Ms. New York. 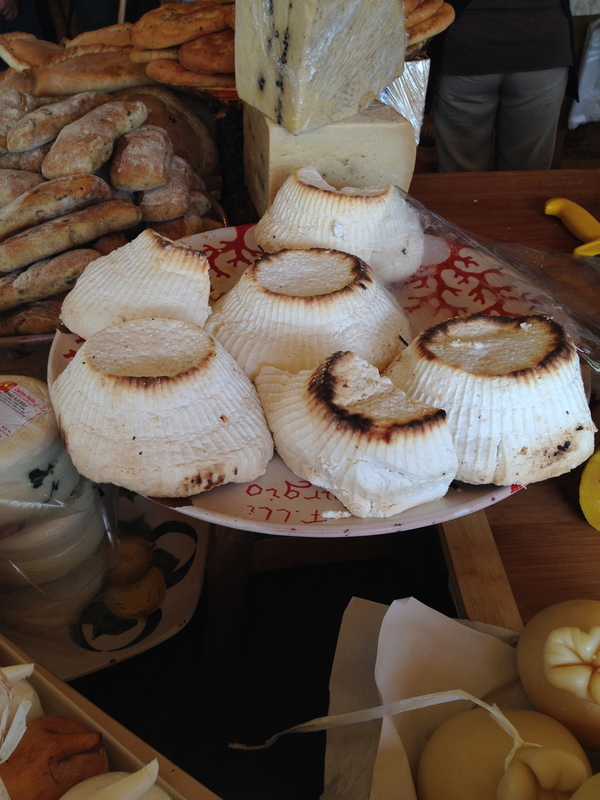 Baked ricotta cheese at Fratelli Burgio. These pictures are making me salivate! 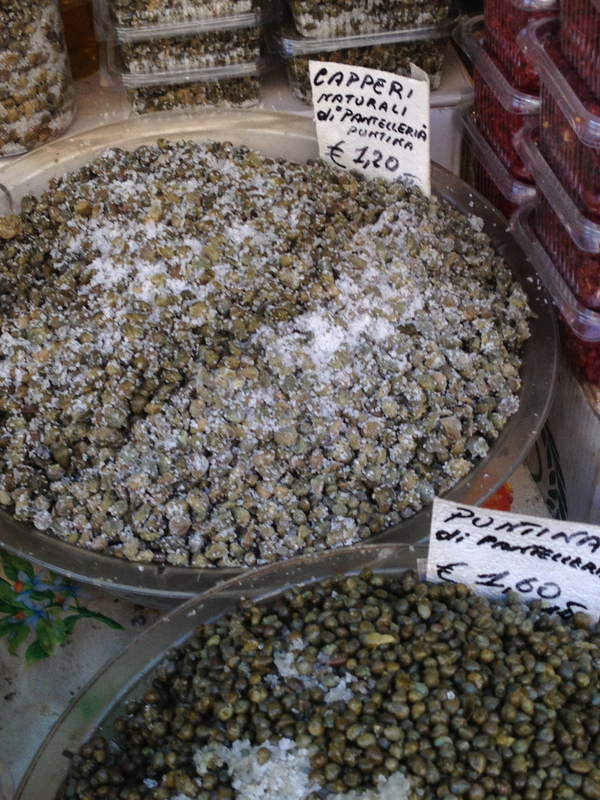 Sicily is now definitely on my travel list. I went to Sicily for the first time last year. It’s now one of my favorite regions in Italy. The history, culture, food, etc. it’s very unique. be still my growling stomach!!! You and Matt have to go. You’d love it.